Parents in the stage of separation and divorce shall submit a jointly agreed parenting plan to the court specifying how their children are to be raised including decision making authority, time sharing allocations and a method for resolving/mediating disputes outside of court. 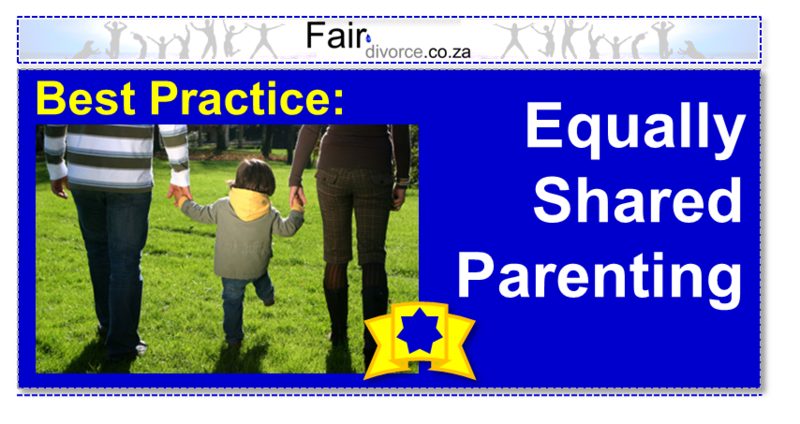 A rebuttable presumption that equally shared residential time is in the best interest of the child. The presumption may be overcome based on a preponderance of the evidence on issues not falling within the equally shared residential time exceptions. The burden of overcoming the presumption rests on the party challenging the presumption. 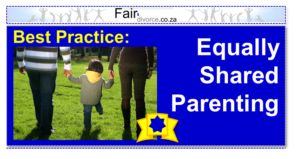 Should parents submit competing parenting plans, the court is directed to preference the timesharing portion of the plan which provides the child the greatest amount of time with both parents. Children should spend no less than 35% residential time sharing as a baseline minimum with each parent, absent any of the exceptions. Where a substantiated finding of abuse, neglect or abandonment exists the court may craft a parenting plan consistent with code sections pertaining to such findings and consistent with the child’s best interest. Should the parents not agree to a parenting plan and the court award less than 40% residential-time sharing to each parent the court will provide written finding of fact regarding deviation below 40%. At any temporary hearing where custody and/or residential time sharing allocations are considered the court will issue temporary orders providing the children with as close to an equal time sharing allocation with each parent as is reasonable and practical, unless exceptions apply. The explicit intent of this legislation is to recognize that in the vast majority of cases the maintenance of a full relationship between children and both parents is in the child’s best interest. This article originally appeared on the website of Leading Women for Shared Parenting and is published here with permission.